A man was arrested today for sending bombs to CNN and others. 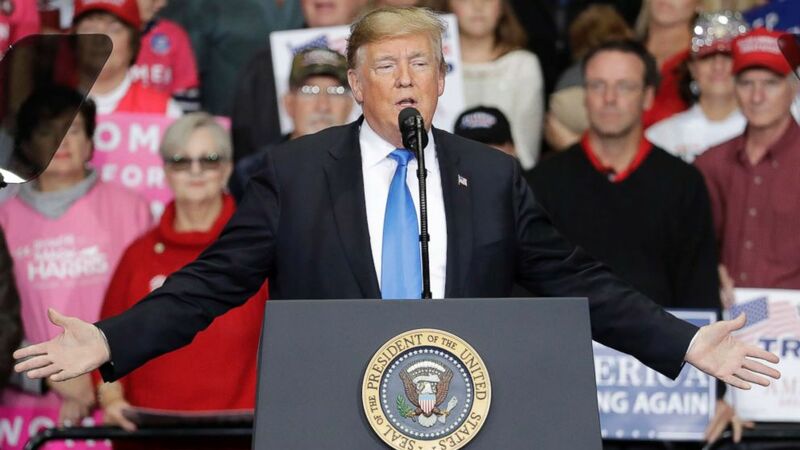 Speaking at a rally on the same day a man was arrested in connection with recent package bomb deliveries, President Donald Trump initially called for unity, but then quickly riled up the crowd into chants denigrating the media covering the rally. The spate of suspected explosive devices included deliveries to the cable news network CNN, whose journalists have become frequent targets of criticism at Trump rallies. Everyone will benefit if we can end the politics of personal destruction. We must unify as a nation in peace, love and in harmony. (Nicholas Kamm/AFP/Getty Images) President Donald Trump claps during a "Make America Great Again" rally at Bojangles' Coliseum, Oct. 26, 2018, in Charlotte, N.C. 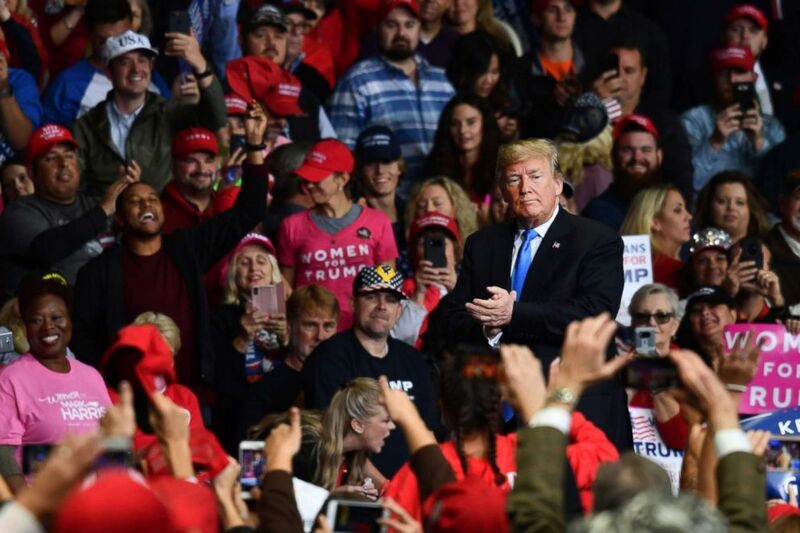 According to social media accounts, suspect Cesar Sayoc, 56, of Aventura, Florida, had attended Trump rallies in the past. Trump meanwhile praised state, local and federal law enforcement for their swift apprehension of the suspect. “The suspect has been captured -- great job -- and is now in federal custody," he said. "These terrorist actions must be prosecuted and punished to the fullest extent of the law. We all know that." The president also mentioned Rep. Maxine Waters, D-Calif., by name. Waters was another intended recipient of two of the bomb packages. Trump has frequently demeaned her in the past. The media’s constant, unfair coverage, deep hostility and negative attacks only serve to drive people apart and to undermine healthy debate. He mentioned that one of the Democratic challengers to a Republican House incumbent is “a big fan of Maxine Waters.” Then he repeated her name, prompting “boos” from the crowd. It was unclear just what it was the president wouldn’t say. Trump also referred to the caravan of migrants fleeing violence in Central America -- many of whom are now heading north through Mexico. He said the opposing party would welcome the migrants into the United States. “The Democrats want to invite caravan after caravan of illegal immigrants and they want to sign them up for free health care, free welfare, free education and for the right to vote,” he said. “It’s so unfair that people just walk across the border because our Democrat laws are no good,” he added. At the beginning of his remarks, the president commented on the rainy weather outside. Yet the state had just been ravaged by a hurricane -– a fact which Trump later pointed out as he offered his “love and support” to residents of the state and neighboring South Carolina.